The second in the area of Appellation Castillon Côtes de Bordeaux Château Sanctuary in Puisseguin. The Castle Sanctuary (5.5 hectares) is received on the ancient lands of the famous Castle Monbadon, one of the last testimonies of medieval military architecture remaining in Gironde. These lands were conquered during the French Revolution. 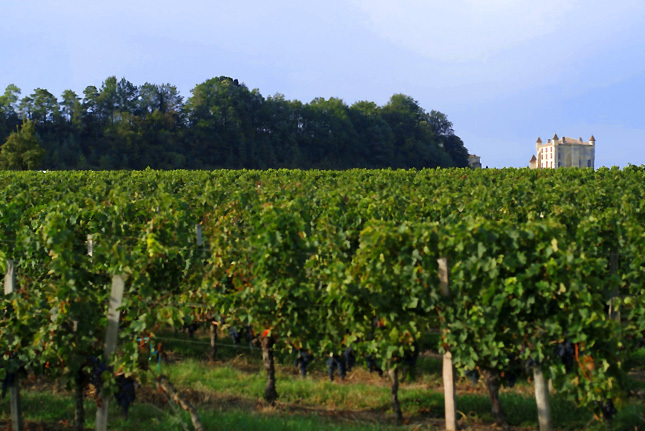 The name of our field is inspired by the statue of the Virgin Mary located in the vineyards. This statue was venerated by pilgrims going to Saint Jacques de Compostela. Knights of Jerusalem marched through the vineyards. The Xth to the XVth century.